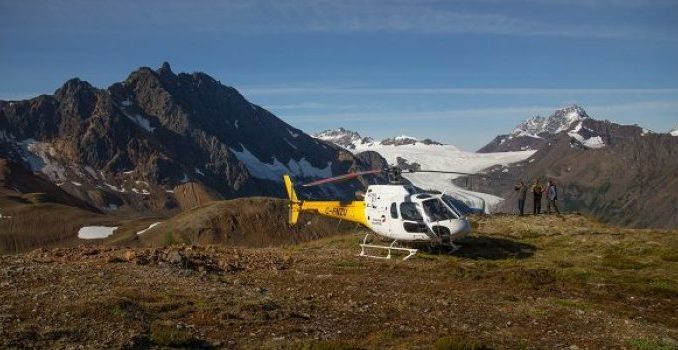 As ice melts from the mountaintops in Northern BC, the market can count on a small army of geologists, drillers, engineers and promoters to warm up the helicopters and head off into the mountains to go and get something to keep assay labs and market blogers busy until Christmas. Yesterday, our own Greg Nolan spun us a yarn about the origins of BC’s Golden Triangle, its current production, and the gold rush that made 1990s Howe St. worth talking about. It’s a damned good overview written by a battle-tested pro, as a background to recent activity at Aben Resources (ABN.V) who have traded 45.8 million shares and gained 55% over the past four sessions behind the first hole at their Forrest-Kerr project returning 38.7 g/t Au over 10.0m. 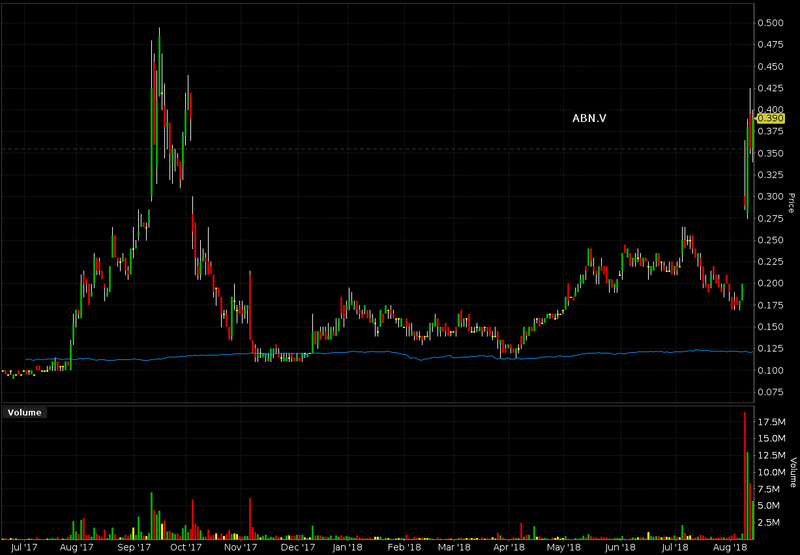 Aben has the look of a company built for a late summer gold rush that pushes into the fall. It closed today at $0.39. 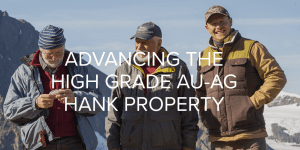 84 million outstanding shares give it a $34 million dollar market cap, which is a respectable mid-August price for ten meters of high grade off in the BC mountains. True to form, this deal has none other than Jimmy Pettit as long-time CEO, and Ron Netolitzky as Chairman of the board. Assays are pending for seven of the ten holes, and the market is waiting on them, because this isn’t Pettit and Netolitzky’s first rodeo. 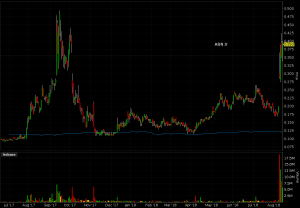 ABN listed 1.29 million in cash at the end of March. Expect that they’ll be raising some more. Golden Ridge Resources (GLDN.V) was the number one trader on the Venture today by dollar volume, trading 18 million shares to finish at $0.32 cents. 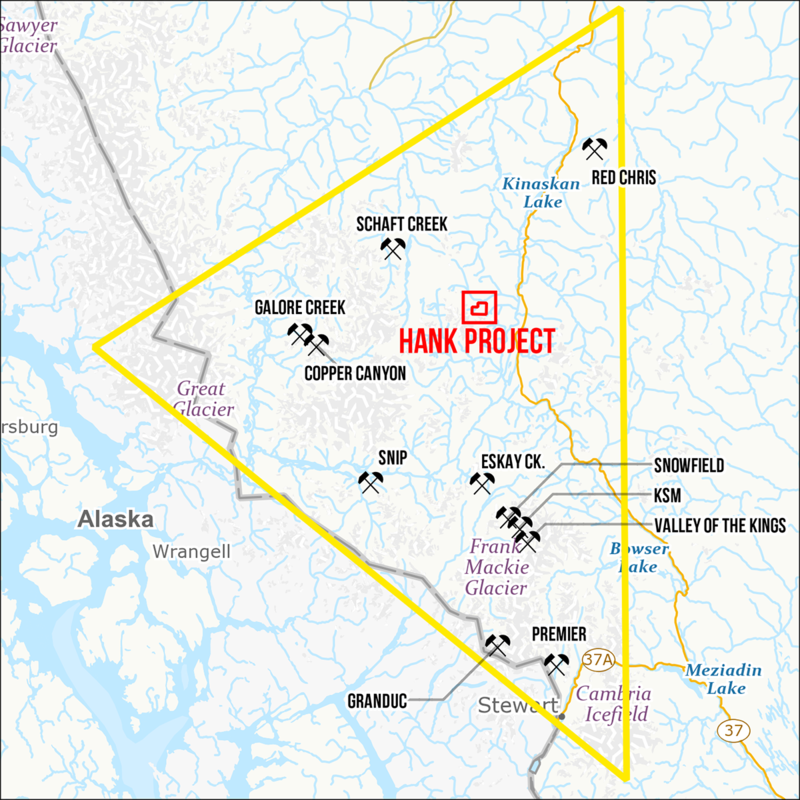 The Golden Ridge action started five days ago as the volume picked up as the street started to anticipate results from wide mineralized intersections at the Hank project from (get this) “the Williams zone,” which has a nice ring to it, and maps well, right in the middle of The Triangle. Drilling of a copper gold soil anomaly led to a just-announced first-hole-of-the-season strike measuring 327 metres of 0.31% copper, 0.35 g/t gold and 1.94 grams per ton of silver. Copper-gold porphyries are known to be found in these volcanics, and have been developed into many respectable and rich operating projects. The company doesn’t know about the true width of this zone. It appears to represents a discovery that is separate from the gold-silver-lead-zinc zone that they drilled last summer, which came up with some nice grades of its own (project page lists 60.27m of 2.60 g/t gold equivalent). 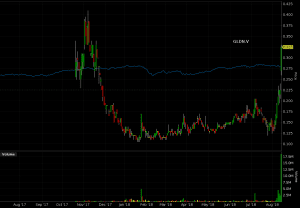 Not to be outdone, GLDN has its own Eskay Creek / Delaware Resources / Calpine alumni as chairman in Larry Nagy. If you haven’t got a guy who can tell first hand Murray Pezim stories as your chairman, do you even count in the triangle? 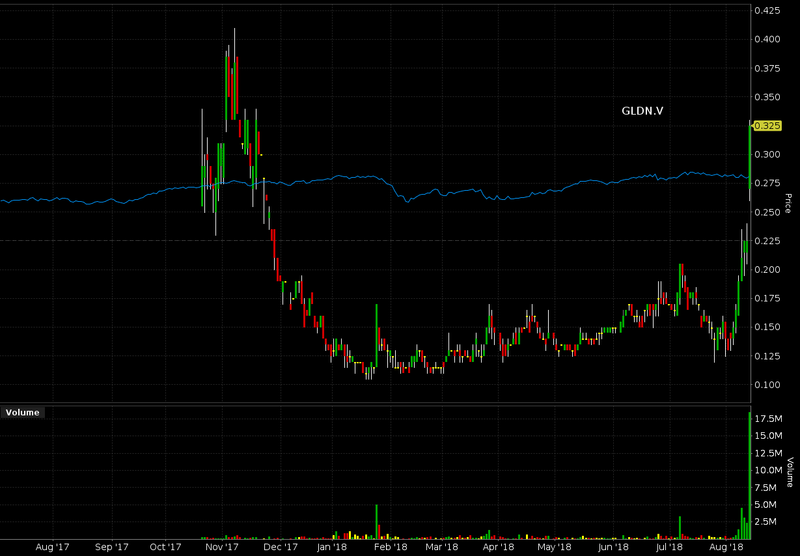 73 million outstanding shares gives GLDN a $23.9 million market cap. They had $3 million in cash in March, so expect them to be raising some money. 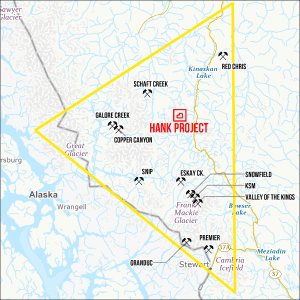 When a company with a decent width of a decent grade plans on drilling in the golden triangle, where the only way to get anything in and out practically (including drill rigs and camps) is by helicopter, they’re going to need money. Shout out to a few telephone-junkie gold bugs that I knew coming up in the biz who are no longer with us, but are no doubt trying to get through to their broker from wherever they ended up. They’d love this action. Psst! Greg left out the best part of the Eskay Creek story. Legend is hole 109 hit the pay zone way below the target depth because the project geologist was passed out drunk and the driller, who was being paid by the foot, didn’t have anyone to stop him.